Are you beginning to prepare for your retirement? The average retirement age in America is 61 years old. However, this average is steadily increasing as Americans continue to live longer. Because this number is growing, it’s more important than ever to ensure that we are adequately planning for retirement. If you plan, your golden years can be stress-free and one of the most enjoyable times of your life. However, if you leave yourself without a plan, these years can be filled with financial stress and uncertainty. 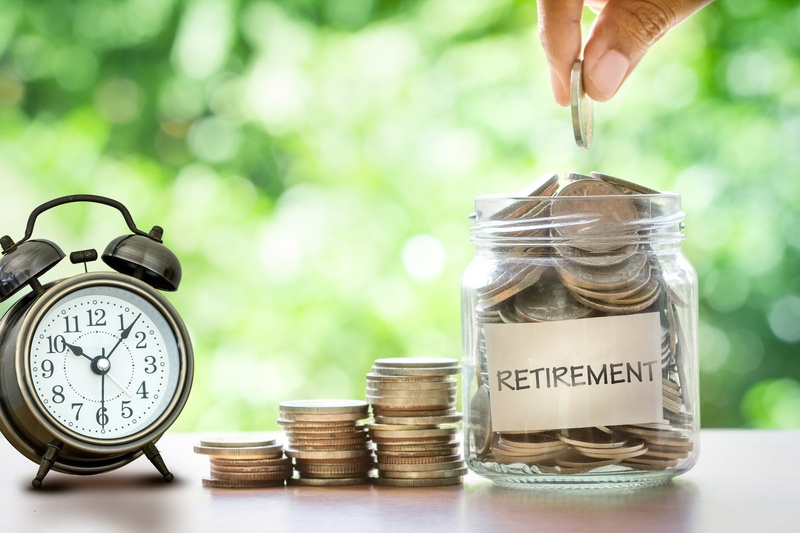 When it comes to this plan, there’s more to retirement than just funding your retirement account, but, if you educate yourself and begin planning for your retirement early, it can be pretty simple. If you want to ensure that you are planning the best retirement possible, you’re going to want to read this. We’re uncovering the ten biggest mistakes to avoid when preparing for retirement. Throughout America, many employers offer a 401(k) retirement plan. The 401(k) is a retirement plan that is sponsored and contributed to by the employer. It allows workers to invest a portion of their paycheck into their retirement fund. This fund is tax-deferred until the individual eventually withdraws money. While most employers will contribute to the plan, it’s equally important for the employees to also contribute to the plan. Let’s use an example to illustrate this: If an employer matches up to 4 percent of the employee’s salary, then that employee should also be contributing at least 4 percent of every paycheck into the plan. In doing this, the employee saves up to 8 percent of their salary each year. While this may not feel significant at first, the amounts do add up especially for long-term employees. By the time you retire, this money is going to make up the bulk of your retirement savings. Go beyond the employer match and contribute the maximum allowable if possible. The limit for 2018 is $18,500, and this contribution pre-tax dollars. So not only are you making an excellent retirement decision you are making arguably an even better tax decision. Let’s look at an example. You’re married with two children filing jointly with a $100,000 salary. You get the employer match of $4,000 as a contribution to your 401(k). The tax savings based on recent tax law changes would increase your tax home pay by $1,895. So by contributing the $18,500, you’re building retirement savings and your wealth increases by $5,895. The compounded effect of this simple change will do wonders for your retirement outlook. Many people treat their retirement fund as simple, accessible money. It’s often used for funding last minute trips, paying down the mortgage or making unexpected purchases. We all have a rough idea of when we plan to retire. Maybe we plan to work hard until 70 years of age to maximize our retirement plan. Alternatively, we may plan to retire at 60 and take on a new line of work to earn extra cash. Either way, it’s important to understand that retirement does not always follow our plan. Perhaps a health crisis may force us to retire earlier, or we must retire early to take care of a sick partner. It’s safe to say that there are many circumstances that may force us to retire earlier than we originally planned. Studies reveal that 69 percent of baby boomers retired earlier than they initially expected. While we may be insistent on working later in life in our early years, factors such as poor health, low energy, or job fatigue often shift this perspective. The point is, you’ll want to plan your finances for the potential of early retirement. You could start contributing a higher percentage of money to your 401(k) retirement plan or just planning with your financial adviser. While we can have a plan in mind, there is always the potential that life might get in the way. Are you currently working with a financial planner? Are you working with a fee-only planner? Are you working with a fiduciary? If you’re new to the concept, think of a financial planner as a coach for your bank account and savings. They are trained professionals in business that help to manage your money and provide sound financial advice. They can also help to initially select and then manage your investments throughout your life. If you want to ensure that you are taking control of your money, you’re going to want to have a dedicated financial planner. Ideally, you should begin working with a financial planner when you begin your first career job. However, it’s never too late to start. This financial planner will help you sort your finances, and help you prepare for your retirement. Why fee-only? Choose a fee-only advisor to mitigate conflicts of interest. The National Association of Personal Financial Advisors defines fee-only advisors as advisors who can truly provide unbiased and objective financial advice, financial planning and investment management. Remember, retirement doesn’t always have to mean leaving the workforce entirely. Sure, it often means leaving that 9-5 job that you worked for the bulk of your life. However, this doesn’t always mean your days of earning money are over. As more opportunities for earning money on the sideline becomes possible, retirees are entertaining the idea of part-time work. This could include anything from online ventures such as blogging and teaching to real-life jobs such as handyman/handywoman work or personal businesses. More often than not, retirees that choose to work after retirement base their work on their passions. For example, an artist may officially begin selling their artwork or an avid gardener may begin working part-time at a greenhouse. These are often jobs that are low-stress, yet still, contribute regular money to the household. This also allows for a social outlet in which retirees can interact with other like-minded individuals and escape the ordinary routine of retired life. It’s also important to note that some of these jobs worked later in life may include employee benefits. One significant mistake that many individuals make in their retirement is retiring too early. Remember, Americans are living longer today than they ever have before. That being said, the average age for retirement continues to increase. Let’s consider a situation in which an individual works until the age of 60 years old. While they may have had the option to retire at 50, they chose to continue working for another decade. In doing so, they are prolonging the retirement money that would have been spent for that entire decade. The result is not having to stretch their retirement money for as long of a period. While they did work a decade later than planned, they can look forward to a blissful retirement. When an employee leaves a job in which they had a retirement account, the employee has three basic options to consider. The problem is, most employees are unaware that these different options exist. Protecting your money requires that you understand the three options. First, the employee can leave the money in that account. This is often the option that employees choose if they do not have another retirement account where they can transfer the funds. These funds can be withdrawn at a later date and without major penalties. Research the fees for the investment alternatives in your 401(k) and move the investments if the fees associated with the account are high. Second, the employee can use a trustee to transfer the money to a new employer’s account. This is only an option if the second employer also offers a retirement plan. And, lastly, the employer can cash out of the account. While this may sound tempting, it’s usually well worth avoiding. Consider that if you cash out before the age of 59.5, you will have to pay taxes as well as a significant withdrawal fee. While this decision is frowned upon, 1 in 3 investors cash out of their retirement plan before the age of 59.5. Often this is because they feel they need the cash and can reinvest the money. However, it’s important to understand the extent of the fees that come along with this decision. For extreme situations, removing this money can cut that money in half! In some cases, many employees are unsure that there are other, more beneficial options. While residing in an urban metropolis was worthwhile during your working years, it may be time to reconsider your location. Throughout one’s career, it may have been beneficial to reside in an expensive city. The transit is top notch, the opportunities are better, and the buzz of the city is always exciting. However, too often, retirees continue living in these expensive urban areas when it no longer benefits them. While it may have been affordable with a regular income, remember that your budget changed. Instead, consider living in a location that offers a more affordable cost of living. These can be areas outside of the urban core or even rural areas. It may even mean changing states. Studies reveal that Alabama is the most affordable state to retire in all of America. Don’t like Alabama? Find other low-cost options. In the end, you want to ensure that your cost of living is suiting your new financial plan. You may also find that you can find similar livability but in another, less expensive state. As your near your retirement, it’s clear that you need to be more thoughtful and careful with your money. In terms of your investments, this often means diversifying your investment portfolio. In doing this, you are reducing your overall financial risk. When the market is performing well, it’s tempting to chase large returns. However, it’s important to remind yourself that your situation has changed and these high-risk investments are not likely to result in success. It’s important to consider the length of time in which you will be actively retired. This is extremely significant when it comes time to plan your savings. Let’s consider that the average lifespan for Americans in 2018 is 80 years old. Let’s also consider that the average American retires at 61 years old. This means that the average American will have 19 years of active retirement. That being said, it’s essential to have a detailed financial plan for those 19 years. You need to ensure that your current financial plan will be able to last throughout that average lifespan. Optimize the location and spend down of your retirement funds. Simple techniques may help you stretch your dollar further. If this financial plan is not supportive enough for those years, you may want to consider other sources of regular income. This could be in the form of a part-time job or opting for a low-risk investment. Retirement can be one of the most enjoyable time periods in anyone’s lifetime. After all, without the burden of having to work, retirees can finally set aside time to do the things they’ve always dreamt of. However, to get the most out of your retirement, it’s essential to create the right financial plan. Too often, retirees run into financial troubles during their retirement and must return to work. It’s important to remember that retirement is not a privilege. Rather, retirement is something that individuals work hard for and plan. Planning includes saving money, speaking with a financial advisor and choosing the right investments. If you’re looking to get the most out of your retirement, there are many common mistakes that you’ll need to avoid. If you plan accordingly and steer clear of these mistakes, you can rest assured that your retirement should be a positive experience. It’s never too early to start preparing for retirement! For more tips and tricks on making the most of your retirement, be sure to visit our blog.